Next order of business is to sand it down. 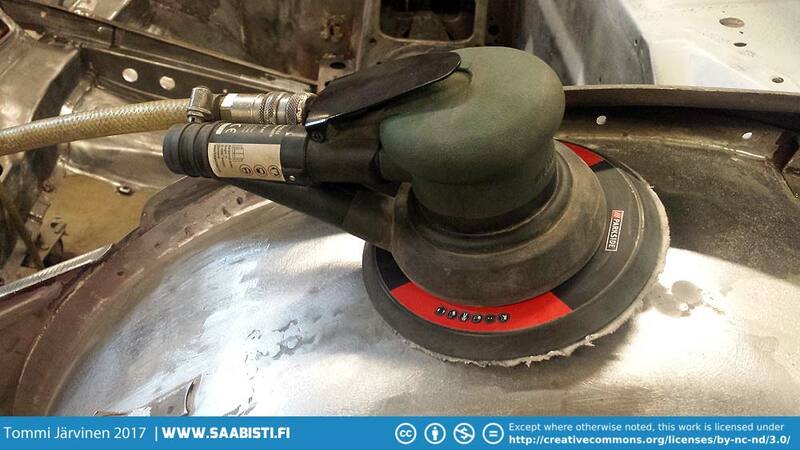 Coarse files, sanding blocks or an orbital sander work fine. Previous imageApplying the lead free body solder is tricky. You can't really shape it so you just basically melt it and let it sit where it is. Make sure you get enough heat in so it sticks to the primed surface. Next imageI also changed my plan on the rear quarter panel weld seams. I sand blasted and sanded them clean and used body solder to fill the gap.